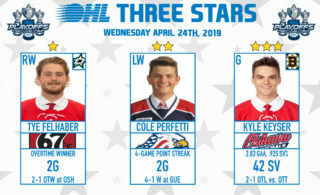 Another hard fought East Division battle is in the books as the Oshawa Generals took a 4-2 victory at home on Saturday to eliminate the rival Peterborough Petes in five games. Zach Gallant (1, 2) got things started well for the Petes, netting his first of two on the night 1:47 into the first period. Anthony Salinitri set up Serron Noel (1) to tie things with 2:10 remaining in the frame before Cole Resnick (2) put the Gennies up 2-1 7:52 into the second. 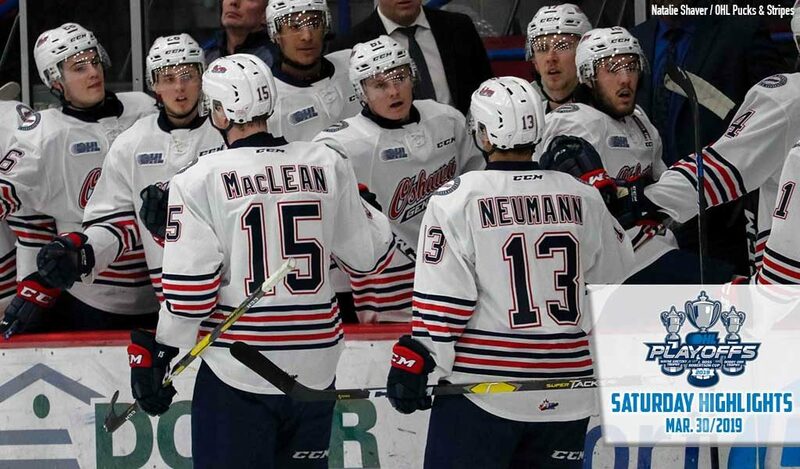 Gallant struck again five minutes later but Oshawa would pull ahead for good on a late second period power play as Salinitri (5) struck with assists from Allan McShane and Brandon Saigeon. Kyle MacLean (4) would hit the empty net to seal the deal as the Generals won despite being outshot 39-31. 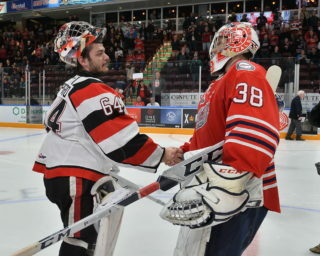 Kyle Keyser stood tall, turning aside 37 shots for the win across from Peterborough’s Hunter Jones who made 27 saves in the loss. 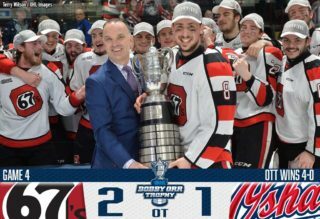 The Petes see a 33-31-2-2 season come to an end where they finished sixth in the conference under first-year OHL coach Rob Wilson. The Petes were led in regular season scoring by blueliner Ryan Merkley (14-57–71). Salinitri turned in a solid series for the Generals, leading the team with eight points (5-3–8). 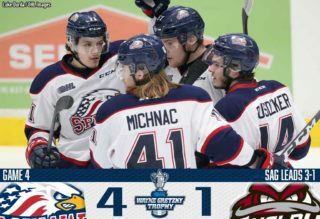 This marks the sixth straight time the Generals have eliminated the Petes from the OHL Playoffs in a string of series victories that dates back to 1997.